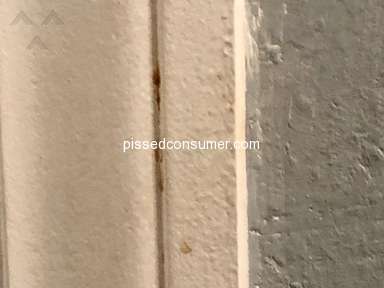 I am a Bluegreen owner of 12 years and never really been disappointed other than the Delray Beach Resort-Gulfstream Manor to which I submitted my disappointment online to bluegreenonline with no feedback from Bluegreen I realized at that point they really don't care about their Bluegreen owners. Going forward to my second complaint is last month (October, 2012) I booked a place at Mountainloft, TN for a friend of mine to stay (October 5 -October 8) to which she gave them her Discover card to use as her check-in deposit for her stay which would be credited back if no damage was caused to the room. She did use te same card a couple of other places in Gatlinburg. 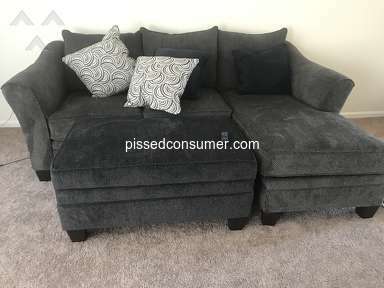 A week and a half later she noticed 3 charges on her credit card for Bestbuyonline, lynda.com and a place in Sevierville, TN she did not charge She called and let them know someone had used her card. The same month,October 19 -October 22, I stayed at Club 36 in Vegas and used my Chase checking/debit card for my check-in damage deposit. I did use my card 3 places on Freemont but that was it. On November 2nd, while back home in Kentucky, someone charged $269.98 at a Walmart in Texas. I believe this is a big coincidence and believe someone at Bluegreen that has access to all resort credit card used for damage deposits are selling the credit card numbers or for personal use. I was wondering if this has happened to anyone recently? If it has I would contact Bluegreen because it is happening within which is ashame. I sent an email regarding this to BLuegreen on their wevsite and have not gotten a reply. I will be calling as a follow up but wanted to know if this is happening to anyone else here lately. Review #302316 is a subjective opinion of legalgirlin. I would contact the Attorney General in the state that you stayed at and let them know what is going on. I used my discover for an upgrade and it was the first use of my card in weeks. The card company contacted me about 3-4 days later and someone had maxed my limit just hours after I gave them my info!!! Discover quickly credited me and issued a new card. The way I see it, Bluegreen was the only viable place for my number to be compromised. I told the people at the resort andcontacted the 1-800 corp. number with no real concern showed by them and no response to a follow up e-mail. I had the same thing (credit card fraud) to happen to me (while staying at Mountaim Loft in Gatlinburg). My instance occured Oct 2011. I received a call from my credit call company within an hour of having swipied card to pay for internet use at Moutain Loft. Hi, you have assumed that it was somebody at bluegreen who stole your details but both of you had used it at other places. Your Bank should do the investigation, they will then pass on the information and or act on it. With out prove you are in my opinion walking a dangerous line here you may find yourselve up the creak without a paddle, let your bank fraud team sort it. how would you feel if the boot was on the other foot. Did anyone notice the grammer or spelling of the repoly to the cards used by scammers? Sounds to me like some one in some place other than the US is posting their replies for them. We certainly won't be buying from them. Much appreciated!! I finally received a reply from Bluegreen some weeks later indicating that no one at Bluegreen has access to all credit card users and sent a snap shot screen of damage deposit page which only shows last 4 digits of cardholder's card. This really didn't satisfy me because the snap shot contains other headers at the top that you could go to if it was clicked on by a Bluegreen employee to which I could not navigate because it was a snap shot in an email and not actual program system they use. In response to you as to assuming it is Bluegreen, I said it was a big coincidence and wondered if it happened to anyone else. Another reply to your statement that I should let the bank investigate and they did and credited my account within an hour of disputing charge. For your information they don't give details as to what happened. They simply did not pay out to Walmart and Walmart ate the cost because when I disputed the charge the amount charged was still in pending. Therefore I am not walking up a creek with a paddle or walking a dangerous line. First reply to my complaint also had the same happen to them. If you do work with Bluegreen you would know their policy and would have stated so in your unintelligent reply. I just want to warn other Bluegreen owners and/or guests who stay at any Bluegreen resorts. There could be many explanations and again, I will reiterate the coincidence of the facts. Still not satisfied with my response from Bluegreen.